CV formats differ throughout the world and it is important to tailor your CV to the needs and expectations of the employer in the country in which you are seeking work. If you are applying to the Irish market it's vital to make sure that your CV is in the right format and that it provides the information that employers are looking for in a clear and accessible format. Employers are swamped with applications and only briefly scan CVs before deciding whether they are interested in an application or not. So first and most important, the information are essential in your CV is your name and contact details. Make it easier for the employers to contact you, so include your phone number, email and links to your social media channels (they will have a look at them anyways). The people of Ireland are amongst the heaviest users of Social Media websites in Europe. LinkedIn has about 600,000 Irish users and Twitter has nearly 200,000 with a third of users checking their accounts daily. Therefore, your online presence will be reviewed. The Irish market is competitive, so you are more likely to secure a role in this country if you have relevant work experience. You are expected to identify relevant skills for a certain job vacancy and provide examples of how you have demonstrated those skills in your CV. This requires more than just a list of your academic qualifications and experience. 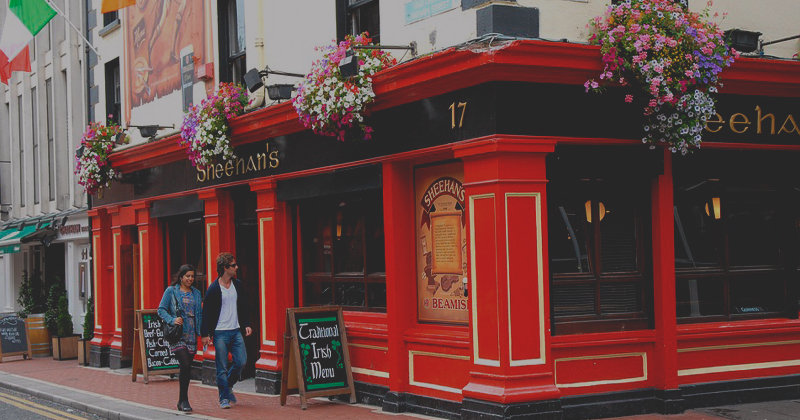 Getting your dream job in Ireland goes hand in hand with getting a good degree. Your studies will be valued therefore mention your best subjects and if it is the case, for recent graduates, your different grades. Copies of degree certificates and official academic transcripts may be requested later on, but you shouldn’t annex them with your initial CV. English and Irish (also known as Gaelic or Gaeilge) are the two official languages in Ireland, although English is the first language for the majority of the country. Good English skills will be sufficient for most jobs, although some knowledge of Irish might help. If you are coming to work in Ireland from a country where English is not the first language then have a friend, English teacher or colleague check over your CV before you send it. Spelling and grammatical errors raise employers’ alarms. Irish companies give great importance to hobbies and personal achievements of the candidate. If you participated in extra-curriculum activities, during College and/or University, or you had leader duties, then they should also be mentioned in your CV. You’re not a robot. Employers want to get to know you as an individual. Many employers in Ireland place a high value on a person’s character and in hiring managers that think that hobbies and interests are an important part of the CV. As we can see, they are some main differences in the type of the CV used in UK & Ireland and those in the rest of Europe. When preparing a CV for the Irish market there is no need to include you picture, marital status, age or religion. Including your nationality is a choice. However what is important is to make your work permit status explicitly clear. If you´re international and you want to stand out from the crowd then you should leave very clear that you are allowed to work in Ireland. The Irish market with its friendly population, English speaking jobs and growing economy, has never been more attractive. The country has one of the highest standards of living in Europe and thanks to its geographical location, low taxation and the fact that English is one of Ireland's official languages, an impressive number of multinational companies have head offices on the Emerald Isle, providing a wealth of opportunities. If you want to move to Ireland, but you’re not sure how long it will take you to find a job, then you can start applying before heading there. Join our group to find out more about job opportunities in Ireland. - Barcelona is waiting for you!